Hide food for your pet in the KONG for Small Animals. You can put food or other treats in the KONG for small animals. This product bounces all around and can be filled with any kind of food or treat. 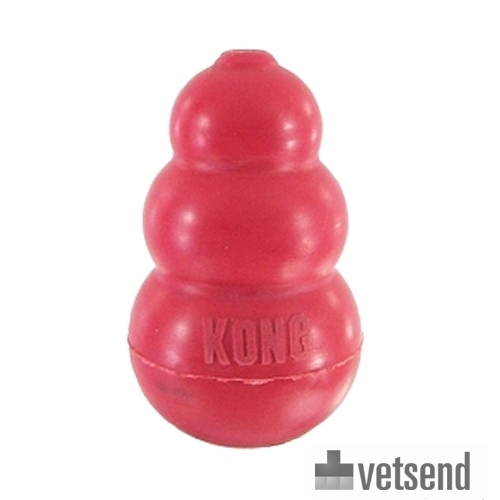 Thanks to the shape of the KONG, it is not easy to pin down, so your pet won't get bored. Made from the same strong rubber as the KONG Classic for dogs. Have you used KONG for Small Animals before? Let us know what you think about this product.